This article is from December 2014. You can find the 2016-2017 New Year’s Eve events HERE. If you are looking for ways to celebrate New Year’s Eve, we have lots of ideas for you. 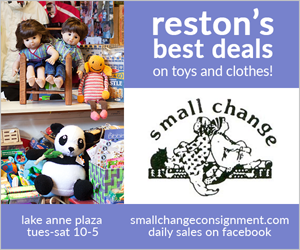 Here are events for December 31, 2015 in Reston, Herndon, Great Falls, Falls Church, and other parts of Northern Virginia. Herndon’s downtown art center hosts a gala each New Year’s Eve, with activities for children and adults. Children ages 5 to 12 will enjoy celebrating the New Year at ArtSpace Herndon’s Crafts and Dance Workshop. The two hour program includes a fabric design craft activity and children’s dance led by local artist Acoatzin Torres. $5 per child, register in advance. Dance the night away to traditional and New Orleans-style blues while enjoying food and beverages and champagne toast. $25 per person, register in advance. Bar Louie will host a New Year’s Eve party with live entertainment, a champagne toast, and more. Tickets are $50. 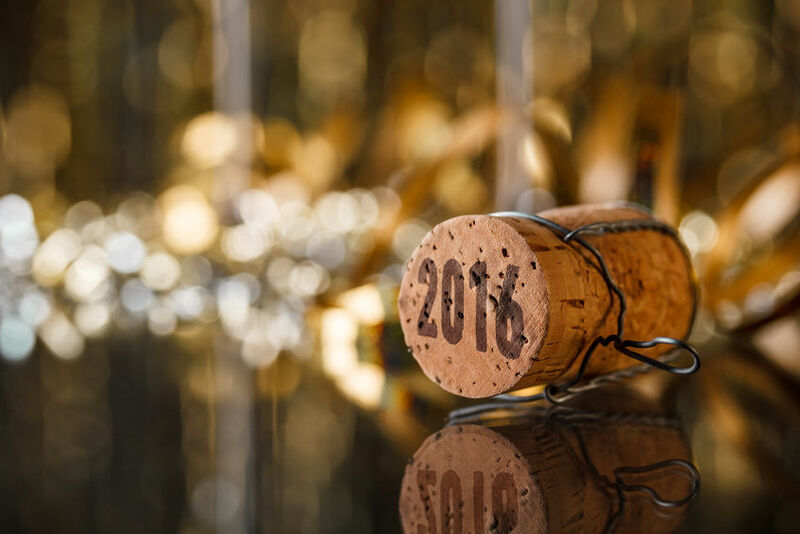 Ring in 2016 New Orleans style at Barrel and Bushel’s Big Easy Bash. The party includes unlimited share plates of the Chef’s new winter items, as well as ten tasting tickets for beer and bourbon. There will be a champagne toast and King Cake at midnight. Tickets are $69.57. The annual New Year’s Eve Gala includes a premium open bar with heavy hors d’oevres, a DJ, and dancing. Champagne and party favors will be provided at midnight. Black tie/cocktail attire. $125. Reservations required. DJ Bill Rosenbluth will be playing traditional ballroom dance music for this party that includes a champagne toast, hot hors d’oeuvres, and champagne at midnight. This 100-year-old dance hall will ring in the new year (literally) by ringing an old school bell at midnight. $25 at the door. Finish your year strong with this four-mile running race through Fairfax. The race includes a post-run pizza party and a commemorative sweatshirt. Registration is $35-$40. This popular family-friendly all-day celebration includes a variety of performances and activities for people of all ages. Events begin at noon and continue throughout the day, culminating in a midnight fireworks show over the river. Tickets are $30, and active military and children 12 and under are free. All events are family-friendly and alcohol-free. The annual New Years Eve Scramble is an 18-hole team golf tournament for all skill levels. 9th Annual Rocknoceros New Years Eve Party is a family-friendly event that begins at 1:30pm. Rocknoceros will do a full-fledged countdown with an apple juice toast. A full lunch and drink menu is available. Tickets are $10. Starting at 4pm, Kalypso’s will serve a three-course dinner with wine pairings. A DJ will spin dance music, while more than 30 HDTVs show the ball dropping in Times Square. Complimentary party favors and champagne toast will be provided. Chef Jacques’ New Year’s Eve Gala is a 6-course dinner menu with party favors, music, dancing, a balloon drop and a champagne toast at midnight. $150 per person. This resort’s New Year’s Eve event includes a buffet dinner, live band, open bar, and midnight champagne. Tickets for the event are $156.35 per person, and hotel room packages are also available. Celebrate with a three-course fondue meal, including complimentary champagne with dessert. Neyla is offering a five-course Mediterranean meal with a champagne toast. Entertainment includes a DJ, a belly dancer, and party favors. $85 per person. The four-course prix fixe menu includes a glass of champagne and a balloon drop at midnight. Wear red and be entered into a drawing for a $50 gift card. $69 per person. Find your best neon tights and fingerless lace gloves, and dance along with the 80s cover band the Legwarmers. Tickets are $50. This free community event includes several performances and activities for families, including concerts, dancing, obstacle courses, a velcro wall, a scavenger hunt, and karaoke. Food vendors will be available. Admission is FREE. Or sign up with Uber. Happy New Year! Where do you plan to ring in 2016?